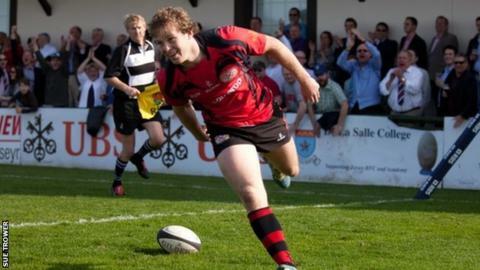 Jersey winger Ed Dawson says he and his team-mates are capable of improving after succumbing to their fifth consecutive Championship defeat. They on Saturday but Dawson says his side can take heart from their second half performance. "We can take real confidence out of that last 30 minutes," Dawson told BBC Radio Jersey. "We really put them to the sword and next week we're going to build and become stronger." Jersey were 22-0 down at half-time but rallied as Dawson got his first try of the season to get within one try of a bonus-point. The island side have won the second half in their last two matches and Dawson says it is not long before they put together two good halves of rugby in the same game. "All we need to do now is sort out what happens in the first half, why we're not switching on and we're going to do that," he added. "It's still early days, we've still got way over three quarters of the season left, so I don't see why not. "We can dig ourselves out, we didn't drop our heads, made good decisions and clawed it back."